The F11 function key will quickly slide up all your windows, revealing your desktop, and letting you interact with your files and folders. 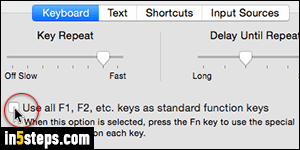 By default on MacBook / Pro / Air, and on the small keyboard for iMac, the F11 key is mapped to special functionality, like decreasing the volume. All you need to do is hold down the "fn" function key (bottom left corner of your keyboard) while pressing the F11 key to trigger the show-desktop command. To make F11 always show your desktop, without having to hold down the "fn" key, click on the Apple logo in the top left corner of the screen, and select System Preferences. Select the Keyboard settings. Check the "Use all F1, F2, etc. keys as standard function keys" checkbox. From more this point on, press the fn key to trigger the action depicted on those keys (like decreasing the volume for the F11 key), and just hit F11 to reveal your desktop. Don't close the System Preferences window yet: go back to the main screen (either click the back arrow or the dotted button), and now click on Trackpad - second row, third icon from the right. Select the "More Gestures" tab / button. 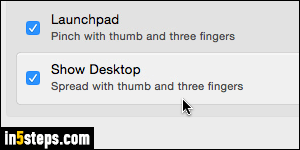 By default, "Show Desktop - Spread with thumb and three fingers" checkbox should be checked: that trackpad gesture does the same as hitting F11! You now have the choice: hit F11 or do a four-finger zoom-out gesture to temporarily hide all open windows and show your desktop. Hit F11 again, or do a four-finger zoom-in trackpad gesture to cover your desktop and restore all windows to their original position. 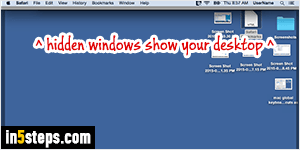 (Clicking on the bottom edge of the slid-up windows will also bring them back down!) 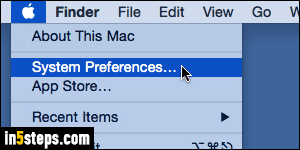 Close the Preferences window.